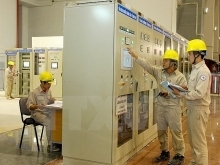 The construction of a waste-to-energy plant began in Tram Than commune, Phu Ninh district, Phu Tho province, on October 12th, which is the first ever waste-to-energy plant in Pho Tho and the neighbouring provinces in the northern midland and mountainous region. The plant, with a total capacity of treating 1,000 tonnes of solid waste per day, will burn domestic waste, without classification, to generate electricity. The plant has received investment totalling approximately US$90 million from Au Viet Natural Resources and Environment JSC and United Expert Investment Ltd. Upon its completion in 2019, the plant is scheduled to treat 100% of domestic waste in the province and produce 65-67million kWh of electricity each year in its first phase. In the second phase of the project, the plant is expected to generate 130 million kWh of electricity and 25,000 m3 of unburned brick, as well as other secondary products, from the treatment of waste. 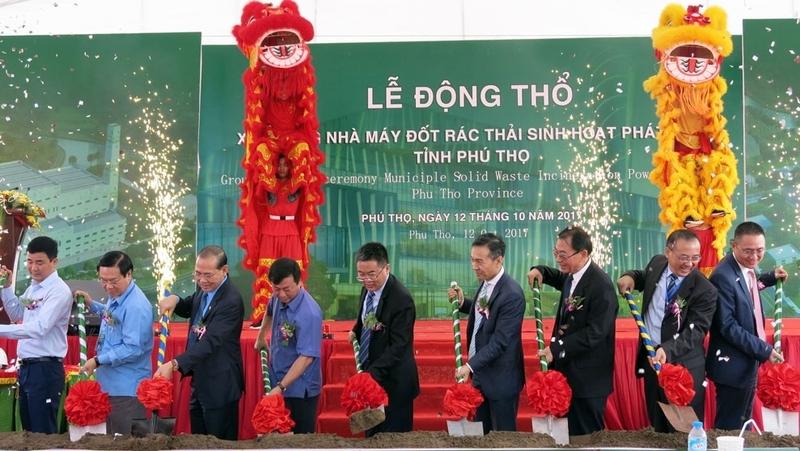 Addressing the ceremony, Vice Chairman of Phu Tho municipal People's Committee Hoang Cong Thuy said that the province has set a target of collecting and treating 100% of domestic waste in urban areas and 65% of domestic waste in rural areas by 2020. He noted that the waste-to-energy plant is a pioneer in the area of domestic waste treatment, with a capacity of treating 500 tonnes of waste per day in the first phase and 1,000 tonnes of waste per day in the second phase. Thuy added that once the plant is put into operation, it will contribute to reducing the use of landfills and create more jobs, as well as contributing to the local socio-economic development.